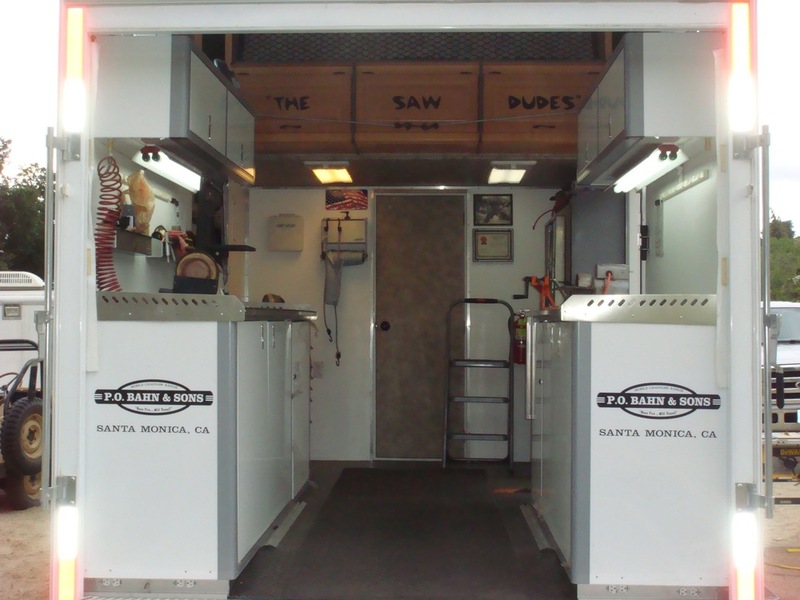 In early 2005 we developed a mobile saw repair unit to provide parts and services to firefighters on wild land fires. The trailer is a 40 ft. fifth wheel trailer, with a 12 foot garage. It is entirely self-contained, and we carry enough parts to supply an incident for 7 days without reordering. 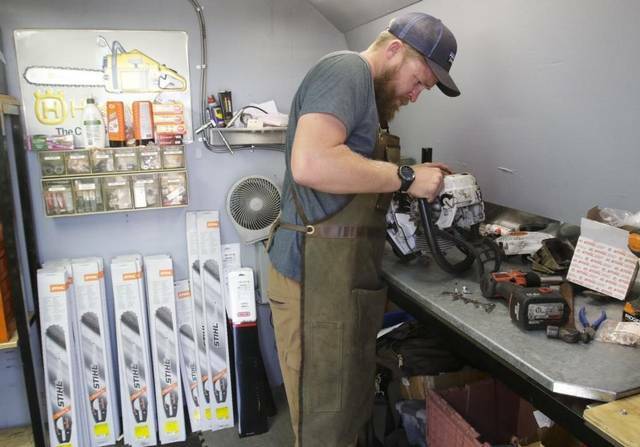 We have the full backing of Pacific Stihl which enables us to have parts drop shipped directly to the incident base. As of 2016 we have been on over 30 incidents, including some of the largest in California history. As a part of the firefighting community we proudly support the Wildland Fire Foundation, and we are lifetime members. If you would like to support the firefighters and their families please click on the Wildland Fire Foundation link below to donate.